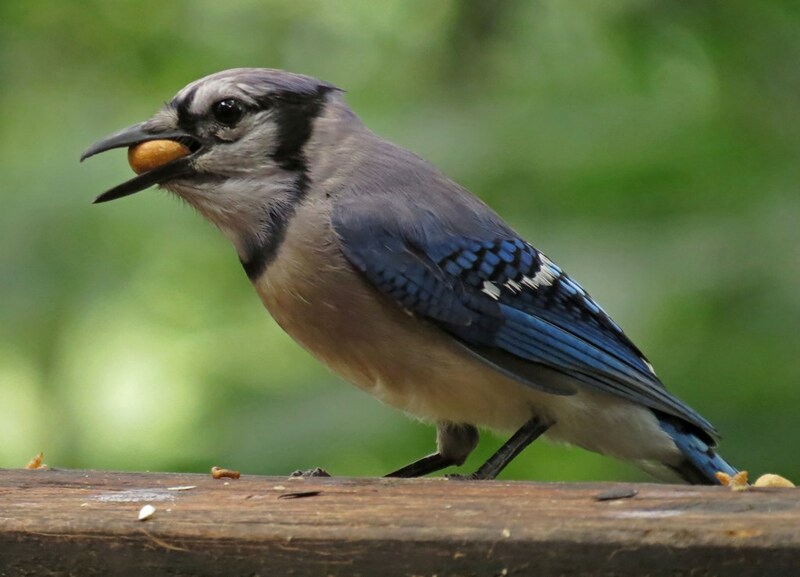 I have some backyard Blue Jays that are making me laugh these days. The first is the youngest of the crew, who doesn’t come to the feeders yet; instead, he sits on the branches and squawks LOUDLY until his food is delivered. He only makes me laugh for a little while…then he gets downright annoying! The second is a juvenile who is venturing forth on his own, but still has not forsaken some of his baby ways. 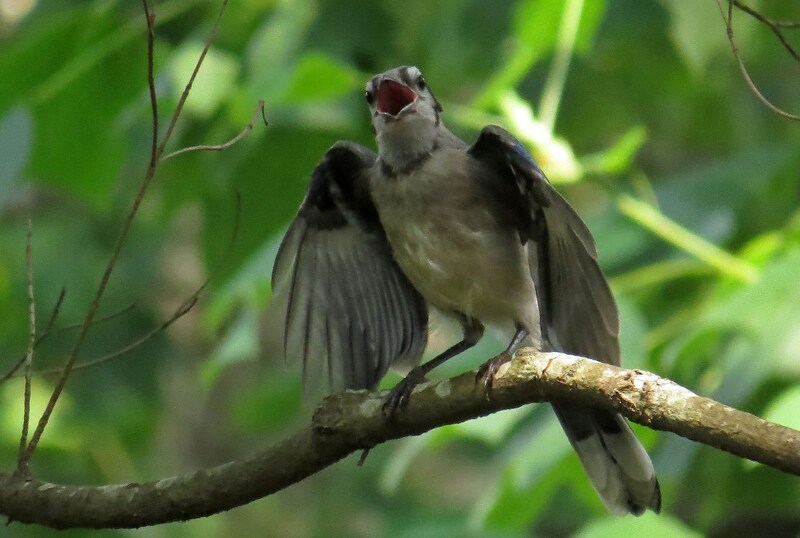 This guy will land on the Bark Batter branch, flap his wings like a youngster, and then proceed to feed himself. By the way, one way to tell he is young is by noticing the pink at the edges of the beak. If you look at the adult below, you will see that this eventually turns black. 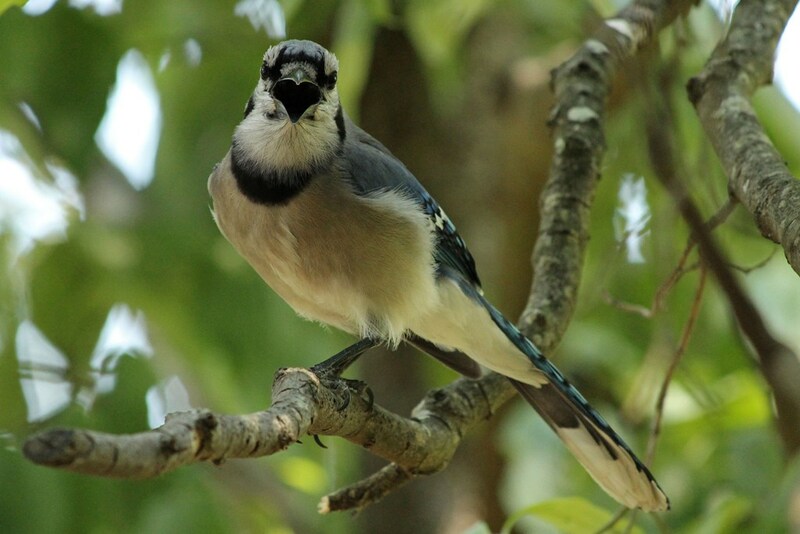 And this last Jay makes me smile simply because he seems to keep smiling at me. 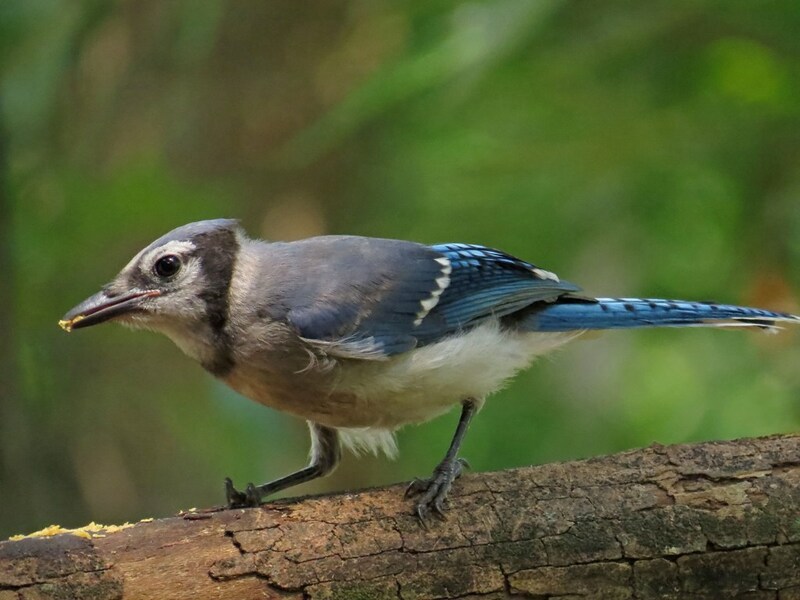 I call him the Jolly Jay because he always arrives with his beak wide open and looks so joyous! I love the perfect heart shape his mouth is making in the next picture. 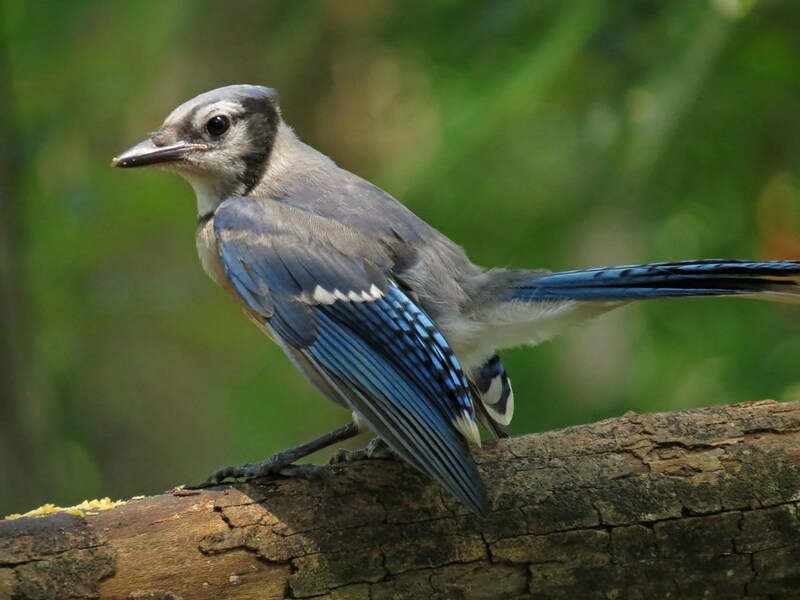 My Blue Jays always have a way of brightening my day! 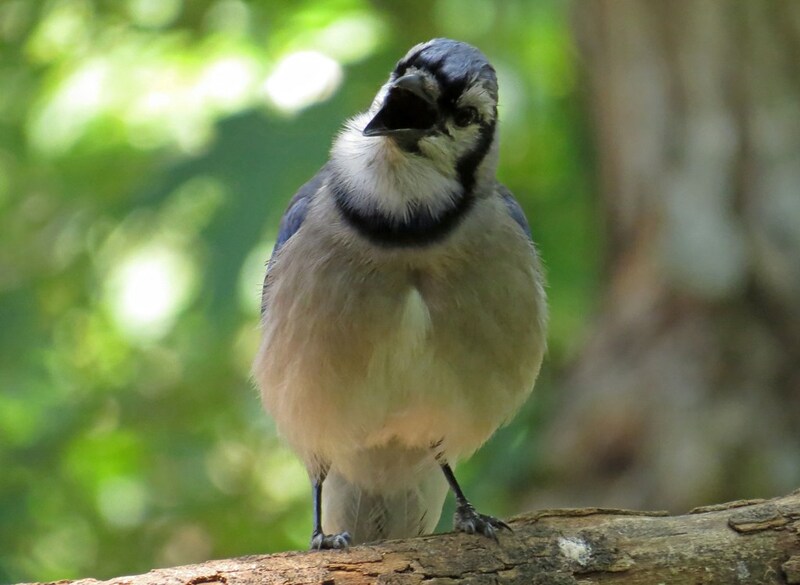 This entry was posted in Backyard Birds and tagged birds, blue jay, creativity, hobbies, nature, photography, writing. Bookmark the permalink. These birds are such characters, I love watching them in our yard too. Great captures, a lot of personality shining through! Thanks! They are indeed characters! I can hear them squawking through these photos! They are definitely noisy birds, and the pictures with their beaks open are such fun. Love that last ‘heart’ shot!